← Jose “Kombat” Prieto Stepping Back Into The Cage!!! The Filipino Martial Arts are simply amazing. 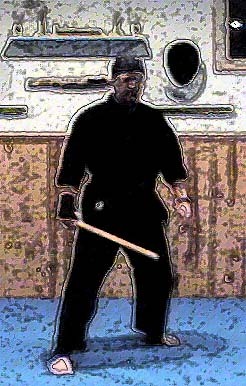 Great blade, stick and empty hand systems that can stand their own with any martial system in the world! Enjoy this short clip featuring GrandMaster Radel Dagooc! GM Rodel “Smoking Sticks” Dagooc is really one of the living legends in FMA! He’s quick and fluid. Absolutely Blade Apprentice! He is one of a kind!! !